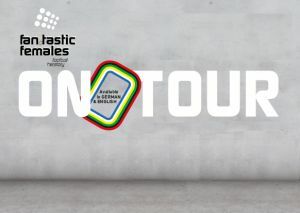 Here you can find the tour dates for the Fan.Tastic Females exhibition. This list will be updated on a regular basis. Furthermore, you can find details on the programme and local organisers around the exhibition in the different venues by clicking on the name of the respective city – venue details will be published once available. More venues are in the pipeline already, they will be announced here once they are definitely confirmed.